Decent beer garden, comfortable pub, friendly barman; only one ale on when we visited, St. Austell 'Tribute' a well kept pint. Urgent message for all disabled patrons or those with children. The fire exit to the right of the bar is padlocked. Landlord flatly refused to take the lock off, despite the fact we had a young child in a pushchair. When I mentioned it was illegal he said his rules override the law. He stopped serving our party of 16 and asked us to leave. We walked up Castle Hill to the King and Castle. 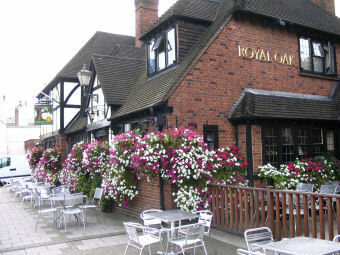 Really friendly staff and excellent ales. Pleasant staff, telly on but thankfully no sound..but over four quid a pint?? 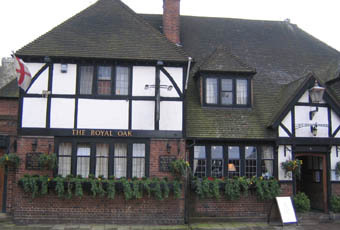 The Royal Oak pub is right opposite the Windsor&Eton train station (S.W.Rail service) and therefore they do get regular clientele from the station. They do show football and rugby games on 3 screens in here, so if you don't like footy or rugger steer clear on match days. Always a pleasant drinking stop, before going home on the rattler! The barstaff were efficient and polite, even if one did insist on calling everyone "Sweet" (...Hello Sweet, 'ows it going?...) which could actually become quite annoying after once or twice...! (Manager to note please)! 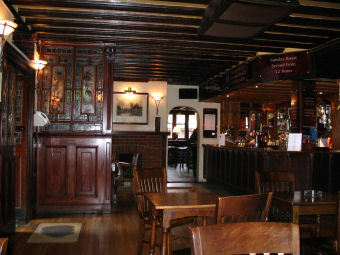 A lovely pub. With now some kind of 'cafe' bar arrangement on the station side, presumably to entice thirsty tourists in for teas or coffees during the day. Whatever floats your boat!